In May 2017 the Tees Valley elected its first metro mayor – Conservative Ben Houchen. He has control over the whole Tees Valley combined authority area. and works with existing city leaders to take forward a strategic plan. You can find out more about the metro mayors on our FAQ page. This page brings together the key facts and figures about the city-region’s economy. Tees Valley consists of the following local authorities: Darlington, Hartlepool, Middlesbrough, Redcar and Cleveland, and Stockton-on-Tees. Understanding how the city-region performs on key areas such as productivity and employment helps the new metro mayor to assess what he should prioritise. The table below shows how Tees Valley compares to the national average on these indicators. Source: All data publicly available. Contact Centre for Cities for full source details. What powers does the Tees Valley metro mayor have? 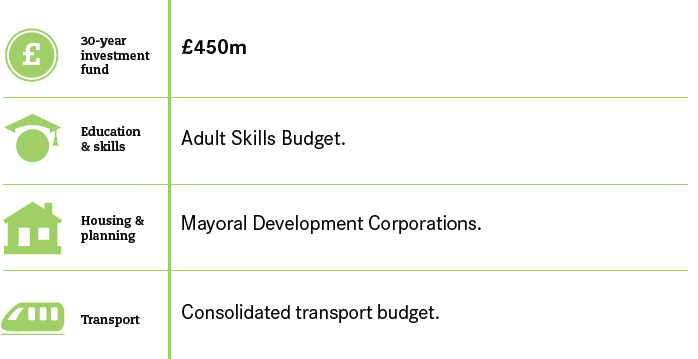 Below is a summary of the powers the new Tees Valley metro mayor has. Tees Valley have fewer controls than the deals seen in Greater Manchester and the West of England. What are the policy priorities for the Tees Valley metro mayor? We outlined a set of policy priorities that the Tees Valley mayor should set out in his first term before his election, you can find them in full here or listed below. Urgently respond to the SSI closure by setting out a plan to help people retrain and access other jobs. What is the political landscape in Tees Valley? The Conservative Ben Houchen won the 2017 Tees Valley metro mayor vote with 51% of votes to Labour’s 49%. The turnout was 21%. Get up to date on the policies and powers affecting the metro mayors by reading our metro mayors FAQ. To make sure you never miss an update on mayors and on the broader research programme, sign up to our newsletter below.